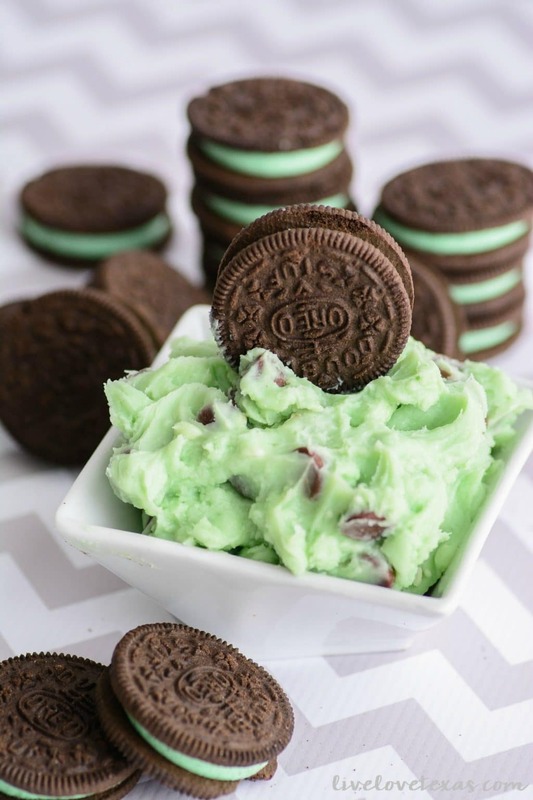 With only 6 basic ingredients that you likely already have in your kitchen, you can make this easy mint chocolate cheesecake dip recipe to serve with your favorite cookies at your next St. Patrick’s Day party! St. Patrick’s Day is right around the corner and honestly, anything green or rainbow hued could qualify as a fun and festive treat for the day. As long as it’s delicious and full of sugar, of course! If you don’t have the time or energy to devote to something like Chocolate Cupcakes from scratch with Rainbow Buttercream Frosting, then this might be the recipe for you. It’s super simple but so delicious and and so remarkably easy to whip up for any occasion whether it’s a full blown party or just an after school snack. Six basic ingredients take this recipe from random ingredients just sitting in your kitchen, to an amazingly flavorful dip that’s reminiscent of your favorite ice cream flavors but with a rich, creamy texture like a frosting. What’s not to love?! 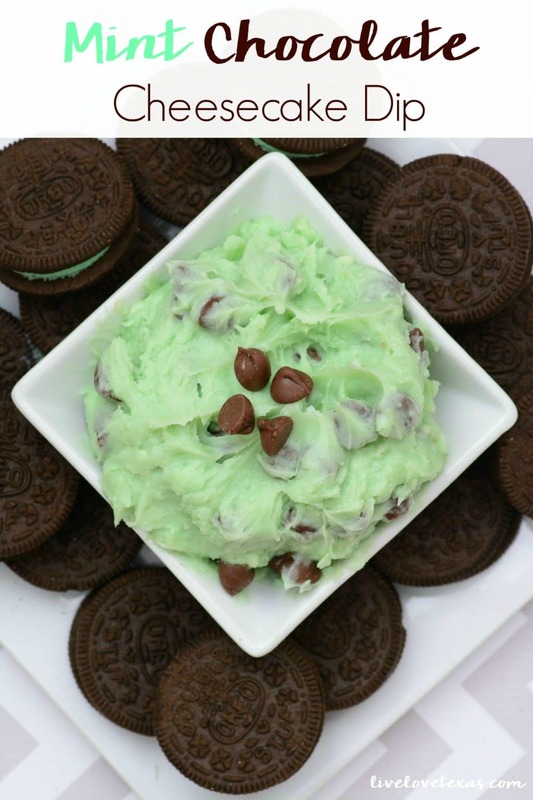 Best of all, this dip can be easily transformed for any holiday by swapping out the food coloring or extract. These are best served with your favorite cookie, but if you need to satisfy your sweet tooth then just grab a spoon and enjoy your fill! Using an electric mixer, beat together cream cheese and butter until smooth. Slowly add powdered sugar, mint extract, and food coloring. Mix well, then fold in chocolate chips. What’s your favorite easy dessert recipe that works for any holiday? 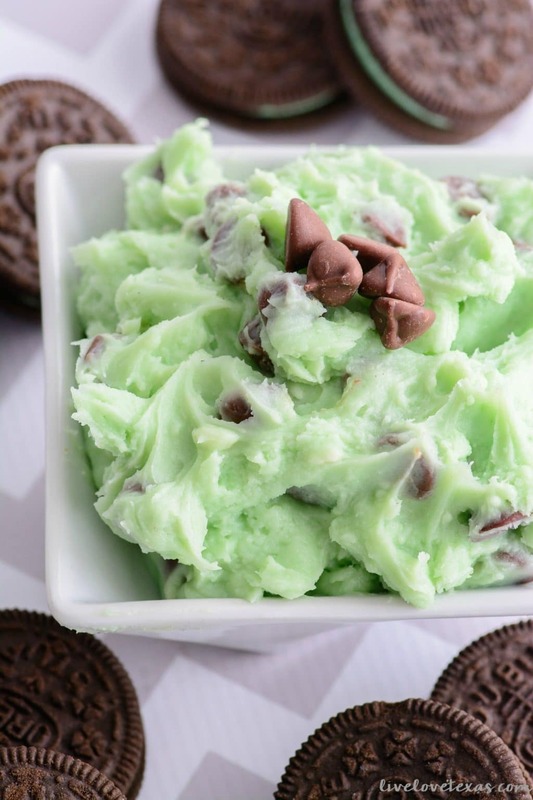 If you don’t have a standby, this easy mint chocolate cheesecake dip recipe. I promise you won’t be disappointed! 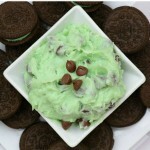 And if you’re looking for more St. Patrick’s Day dessert recipes, try out these other delicious recipes!